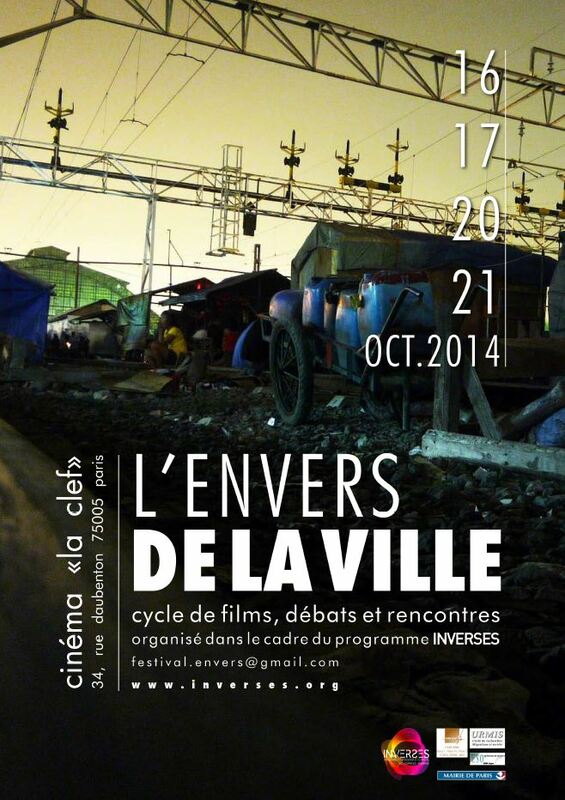 The Festival « The Other Side of Cities » is organized at La Clef Theater in Paris, from October 16th to 21st. This Film festival proposes a journey behind the scenes of cities, of how they are administered and how their residents intervene. From the point of view of both the inhabitants, their representatives and the governments, it shows how cities are constructed by hidden moves and movements that structure the city organisation on a daily basis. Across different continents, this festival shows intrigues, arrangements, manoeuvres and resistance in an urban context. Presenting fictions and documentaries, the festival offers a broad reflection on the role of power, alliance and conflict in hidden, not always visible, urban arenas. To develop the understanding of such facts, the evening projections are followed by debates with the audience, moderated by researchers from the Inverses Research Program, altogether with academics and film makers. Four main themes structure this edition: the relationships between business and political circles (the role of collusion in urban projects); the importance of the law and how it is often bypassed (through public corruption, lobbying, clientelism or patronage); the resistance of the inhabitants in diverse evolving urban contexts (evictions, urban renovation); the control of the city on a day-to-day basis (as seen by the practices of the police). UGC and Gaumont cards are not accepted.